The fire department and police would have had to been given instructions to ignore the fires, to let them burn to destruction. Because normally they would fight the fires and protect property. Obviously the home owners did not want to abandon their homes. But this fits right into globalists and agenda 21 plans to remove people from wilderness areas of the country so those areas can revert back to wilderness. Why else would they attack and devastate the property so thoroughly. This is trauma which you can imagine if you were one of the home owners. Now I am seeing that firefighters may not have been on site for the fire events as the energy may well purposely have been done after the home owners were evacuated and when the firefighters were not present also so they would not have seen the apparently SECRET energy strikes. This devastation of wilderness area is only 380 miles south of my home in Port Orford Oregon in the same type of wilderness area and also on route 101 on the Oregon coast. Will the devastation continue in south eastern Oregon? The Agenda 21 says it will be included. I am being kept from telling or alerting others by mercenary contractors. Therefore it will come as a complete surprise to the residents of Port Orford where I live. 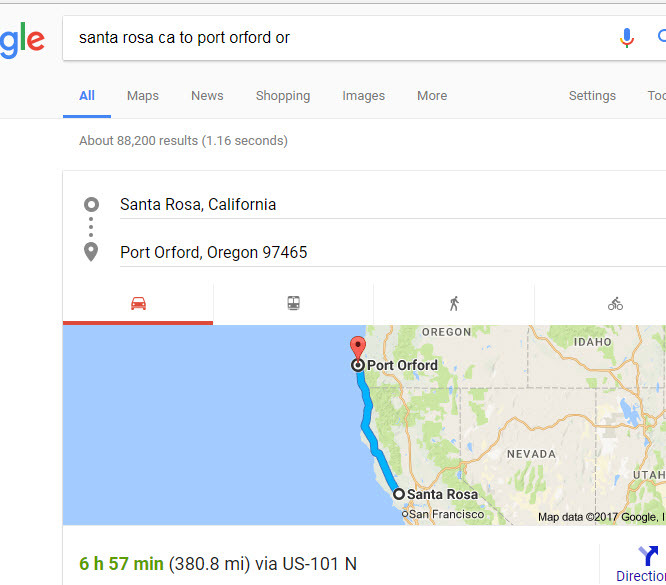 Look at the following map and notice that Santa Rosa is a coastal town on 101 the same as the coastal town of Port Orford. What is the difference between Santa Rosa California and Port Orford. It is that they are 380 miles apart. They are talking about how it is apparent that directed energy weapons caused the disintegration destruction in Santa Rosa. After having watched the above video, do you doubt the existence of Directed Energy Weapons? Would you, like the local towns people have adamantly opposed the labeled what what caused the destruction some kind of Directed Energy Weapon and would you have opposed calling it “Forrest Fire”? I know I would have done it the same as the towns people. The Government has these weapons now and Government contractors are using low power versions of these weapons on people right now. This is a war on the American people and it can be compared to and logically called the New Phoenix Program after the Phoenix Program foisted on the Vietnamese people during the Vietnam war. The purpose of that program was to strike fear into the hearts and minds of the people of Vietnam by time and time again pulling people out of their homes or outright killing them, with only suspicions for torture and often killed. The people were terrorized and terrified and rightly so. A version of this is now foisted on the American people. to take notice of this and think it is normal and just do what they say? Or can you see that we are being attacked by the Government? No it is not the thing you would expect but it is so. As it turns out, the United States was attacked on 911, not by Arabs, but by globalists using a well planned psychological operation to fool the American people into thinking it was people from a third world country with box cutters. to take over in a martial law type environment. 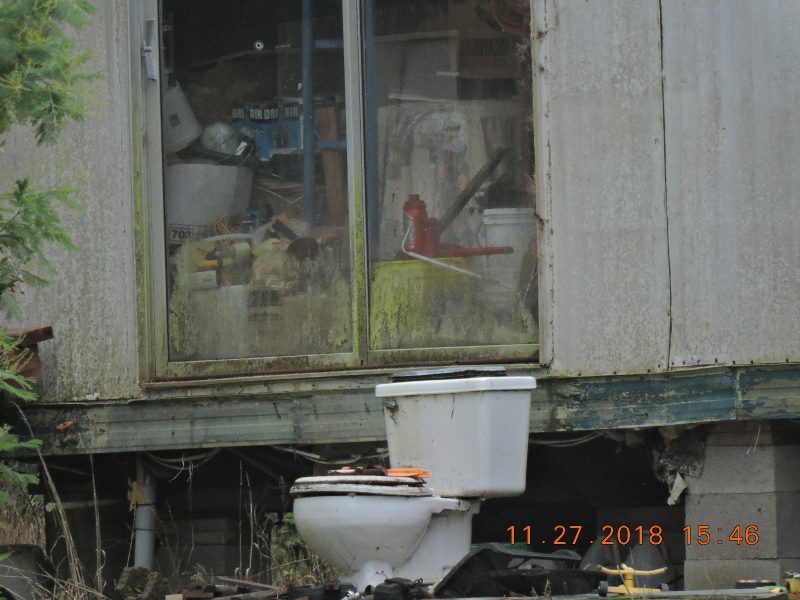 The contractors who help with the disasters and killing people know exactly what they are doing. They terrorize people and create destruction and division. They have no empathy and will do anything for money. Now you know who your enemies are. These contractors who will do anything for money are not to be trusted. They have tasted blood and can never be trusted to be around good normal people again For these sociopaths and psychopaths, this is their dream job because they like controlling people and for them hurting people if fun because they have no empathy. They actualloy enjoy seeing peoples terrified reactions and happily recount the terror in stories. They see the terror in their eyes and hear the screams. They are the pedophiles, murderers, rapists. There is a key word to link these people together and that word is PREDATOR. Believe me when I tell you they would not have taken jobs torturing and killing people if they didnt like it. I’d like to offer to you a slightly different theory or reasoning for why these fires seem to have accelerants: Solar radiation management, aka, artificial clouds, aka, stratospheric aerosols, aka geoengineering, aka chemtrails. What do the cloud seeders spray? Aluminum and barium particles. These fall to the ground, on houses, trees, etc. It could very well explain the effects you’re seeing. And they have been spraying the world like crazy. It is very troubling indeed. The distressing things that are happening are better understood by studying the origin and history of humans, the origin of life, and the origin of the physical world and universe. Here’s an introductory reading list: Lloyd Pye, Chris H Hardy, John E Brandenburg, Anatoly Fomenko, Michael Cremo, Stephen C Meyer, Douglas Axe, Michael Behe, Jonathan Wells, William A Dembski, Guillermo Gonzalez, Hugh Ross, Mearsheimer and Walt, and Alison Weir. A tediously long and diligent course of self-study is necessary in order to cut through countless layers of deliberately placed voluminous misdirection. You’re right about the best way to cut through the thicket of misinformation that we all have/had that obscures what is real. Imagine an Amazon Jungle explorers hacking his way through dense vines, flora to find the clear path. Hard to do. Just as the Soros/NWO faction created AntiFA as the foil to the ALT Right groups in order to foment riots, chaos leading to insurrection and ultimalte marshal law, we too need across the board organization on a central platform of “EXPOSE, NOT DISCLOSE”. Band together with a lean message (not dividing among completing subissues) and calmly, responsibly tell those unaware to “Wake the f^%*ck up”. We dont have critical mass yet to break through the thicket…..
we will get there though. Molecular dissociation is a cold process. Directed microwaves, tuned to the resonance frequencies of molecules composing selected target materials, emitted in the presence of electrostatic fields, cause the molecules to vibrate asymmetrically, producing a ratcheting effect that pulls molecules away from each other, turning solid materials to dust in mid-air. This was done at WTC on 9/11 (read Judy Wood’s book for evidence), in Alberta from May to July of 2016, and now in Santa Rosa. Only a government would have access to such weapons, and the US government would not attack itself and destroy US property in this way, would they? 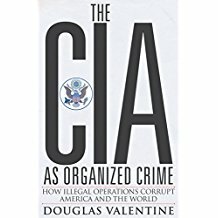 One must therefore ask, what foreign country did 9/11 and has enough influence over the US government, US military, US industries, and US media to carry out the operation and cover it up? Read Mearsheimer and Walt for an answer. That foreign country would then be the prime suspect in Alberta and Santa Rosa. The microwaves can be emitted by various means, such as cell tower antennae or from smart meters via electric power wiring in homes. The electrostatic field can be accumulated in chemtrailed layers of atmosphere by hurricanes (such as Erin on 9/11), acting like huge Van de Graaff generators, or by electromagnetic emissions from NEXRAD towers or other HAARP-like facilities. The fires in Santa Rosa and neighboring areas were just for show, possibly started by lasers on drones or emitted from Lawrence Livermore Laboratories and bounced off of satellites. The fires in Northern California served exactly the same purpose as the planes on 9/11 — both were to further bamboozle an unsuspecting public. both 911 and NoCalFires are traumatizing events, you are right. look for kevin Shipp who is a former CIA officer to explain what is going on. Here it is. https://youtu.be/rMzASKwtIBw Also look for videos by Dr. Erick Karlstrom. He tells about a lot of this like gangstalking and the phoenix program. He is a former geography professor and he is good at teaching.